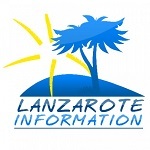 Lanzarote has over 100 beaches! We’re still building a complete list of them, there’s a wide variety from the golden sandy beaches found in the holiday resorts to the white coves hidden in the north of the island, surfer’s paradise at Famara plus the very different black lava rock & sand beaches off the beaten track. The beaches are listed with their municipality, the beach dimensions refer to the length of the beach and distance in depth to reach the sea. Please add a comment below if one of your favourites has not been included or you would like to add anything. 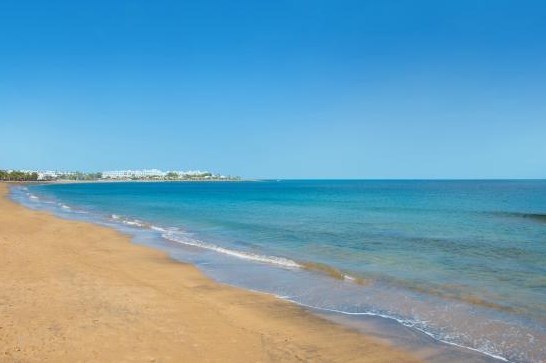 Playa El Reducto is right in the centre of Lanzarote’s capital, it’s the beach by the Gran Hotel. There are sunbeds and umbrellas for rent and lifeguards on duty. Playa El Castillo beach is on the end of Leon y Castillo, the main pedestrian street in the centre of Arrecife where the Castillo de San Gabriel is situated. Playa El Cable beach is situated mid way between Arrecife and Playa Honda, access is off the main dual carriage way where the petrol stations are situated opposite each other, or by foot along the promenade. It’s not a popular beach as it can be polluted occasionally. Playa La Concha beach is further towards Playa Honda from El Cable. Accessed by car from Playa Honda or on foot along the promenade from Arrecife. Playa La Garita in Arrieta is the islands best kept secret! This beach is great for all occasions, it has a good swell for surfers, great snorkeling under the jetty, fishing off the pier and two tapas bars. Playa El Charcon beach is the small one with a natural sea pool next to Casa Juanita in Arrieta. Caleta del Campo beach is opposite the renown restaurant El Lago on the coast road between Punta Mujeres and Arrieta. Caleta del Espino beach is in Punta Mujeres where the natural sea pool is opposite the tapas bar La Piscina. Playa Las Sebas beach is the other end of Punta Mujeres, there are two sea pools, a slipway and lots of locals fishing. Playa Los Caletones beach is along the coast path from Punta Mujeres to Jameos del Agua. Caleta de José Marí­a beach is on the coast path close to Los Caletones beach. Caletón Blanco Beach is the largest of the shallow water and white sand beaches that appear on your right as you follow the road to Órzola. Great for children, lots of rock pools. Caleta del Mero. A beautiful white sand cove popular with nudists. Playa La Cantería beach is hidden under the dramatic cliffs at Órzola. Access is by car along a dirt track, as you turn right from the coast road into the village turn left to find the beach. Popular with surfers. Playa El Risco beach is deserted but beautiful! Access is via boat or down the goat path from the car park along from the Mirador del Rio towards Guinate. The definitely beach is worth the trek down but remember the only way back is up and its 650m!! The annual autumn swim to La Graciosa starts here. Charco del Palo has a sandy cliff coastline with access into the sea off the rocks with ladders for exit. It is a naturist village and clothes are optional. There is also a natural sea swimming pool. Very popular with scuba divers. The coast of San Bartolomé is the area of Playa Honda which has two beaches. The first is Playa Honda beach, it’s huge and stretches along the popular promenade. Dimensions: 1900m long & 85m deep Sand: medium golden Sea: calm. The second beach is Playa Guacimeta beach and it stretches around the airport runway, you can stand and watch the planes land over your head! Not classed as a naturist beach but is known for it. This also has two sections authorised for pets, so that dogs can exercise and enjoy the beach with their family. The municipality of Teguise covers a wide coastal area including Costa Teguise, Famara and La Graciosa. Costa Teguise has some very different beaches accessed from the promenade. Playa Las Cucharas beach, considered the main beach and very popular for windsurfing especially with the wind increase in the afternoons. Playa Los Charcos beach, sheltered from the wind. Playa El Jablillo beach, sheltered cove and popular with children and try scuba divers. Playa Bastian beach, looks pretty with zocos but difficult to access the water at low tide. Playa El Ancla beach, is a lovely cove situated on the outskirts of Costa Teguise. Playa La Caleta is situated past Costa Teguise heading towards Arrecife, just before the desalination plant is the beach of Ensenada de La Caleta. Great local tapas bars! Dimensions: 400m long & 12m deep Sand: fine Sea: calm. Playa Barlovento beach is where the Telamon shipwreck is located next to the Puerto de Los Marmoles. Popular with snorkelers and scuba divers. Playa La Arena beach is between Puerto Naos and Castillo San José, access is via the road to the Castillo and there is a turn off on the bend before. Playa de Famara is impressive, the beach stretches for nearly 6km and you can’t help but be in awe of the magnificent Famara cliffs. Swimming is dangerous, there are strong waves and under currents making it popular with surfers. Also attracts kite surfers and experienced windsurfers. This covers the Puerto del Carmen resort with over 6km of beaches from Matagorda to the old harbour. Playa Grande, the main beach on the strip in the resort, with sun beds and swan pedalos for hire. This is a great coast for surfing, the sea is very dramatic with huge powerful rollers. Yaiza covers the tourist area of Playa Blanca and some of the most popular beaches on the island. The beaches are accessed by a dirt road off the large roundabout on the road to Femés, public are asked to pay an entry fee of €3 Euros and residents with are free of charge. You can also take a water taxi or catamaran trip to reach these beaches from the resort. There are a number of boat excursions that anchor off Playa Mujeres and Las Coloradas as they are the larger beaches. Papagayo is also popular with naturists. The Cabildo de Lanzarote list the details of the beaches on the island with a photo of each one and description on this website. An apartment that has been tastefully renovated with excellent views over looking the communal pools and gardens.